PILANA company is a traditional Czech cutting-tool manufacturer. Tool production in Hulín was launched in 1934 by Mr. Studeník, who started producing hand saws and circular saw blades. The production programme has been gradually enriched with TCT saw blades, band saw blade, machine knives and metal cutting tools. Nowadays, the PILANA brand is used by a group of independent companies producing tool for wood and metal industrial machining with an annual turnover exceeding 60 million €. You will find more about PILANA products here. PILANA Karbid was established in 2011. We concentrate on the production and service of rotary tools for efficient metal machining. To achieve the highest precision, we use the most up-to-date technology, top-quality materials and surface treatments. Choose from our wide range of services to meet your technical requirements. The new catalogue of milling machines and drills published. 2 new CNC grinders Walter Micro. We offer our catalogue carbide tools for CNC milling and drilling. We design and manufacture special carbide tools according to customer requirements. 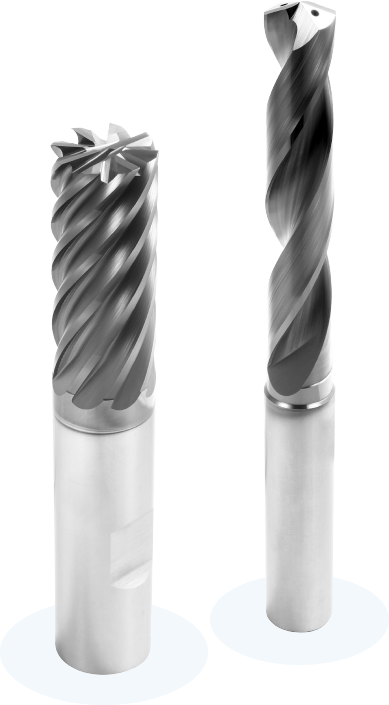 We are able to sharpen a wide range of rotary tools made of carbide and high-speed steel.